GRSE Garden Reach Shipbuilders & Engineers Ltd. | Govt. Jobs | Pre- Sea Training Course | Last Date: 16 June, 2012. BE/ BTECH (Mechanical)/ Naval Architecture required in Garden Reach Shipbuilders & Engineers Ltd.
Education: BE/ BTECH (Mechanical)/ Naval Architecture from a recognized University with at least 50% marks. 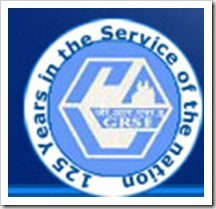 GRSE Garden Reach Shipbuilders & Engineers Ltd | Govt. Jobs | GME/ TME Training | Last Date: 19 July, 2015. Posted in Government Job, Job After Btech, Mechanical, Naval Architects, Training after Btech. Tags: 2012, Garden Reach Shipbuilders & Engineers Ltd., Govt. jobs, GRSE, Last Date: 16 June, Pre- Sea Training Course on May 15, 2012 by kavita joshi.